what 4 days off can do for you… i spent the long easter weekend in my hometown luzern, that’s really so pictureqsque (seee for yourself on instagram). i’m thoroughly knackered after everyting, but also, the soul’s batteries have been recharched. ready to rock tuesday tomo! apart from that, if i had to pick one aliment to eat eternally, it’d be bread. and i mean anything ranging from challah to focaccia to wholemeal to sourdough… bread is my friend, and always welcome in my book. and i mean i love it for what it is and as such. but a foolproof way to improve it even more is to add a good spread. my favorite is curd. 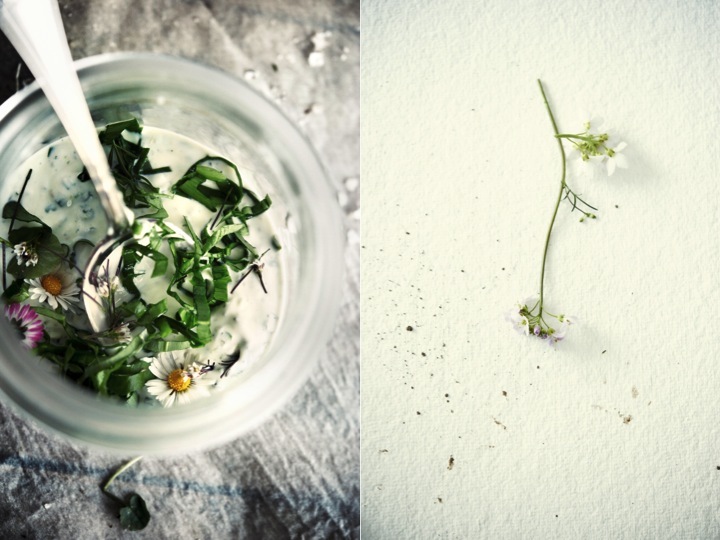 and here we have a fantastic duo of nettle bread (we went to pick it ourselves, christine and me) and a wild herb curd. 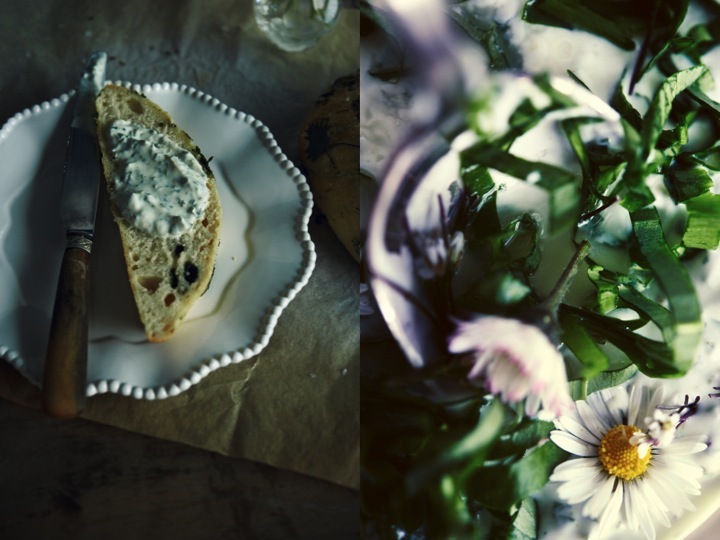 christine captured the mood extremely good, the rustic, dirty, dark appeal of the bread. almost makes me smell it again, hmm. combine the flour and salt in a bowl. put the yeast in lukewarm tap water, add the sugar, stir well to dissolve. let sit for about 10 minutes. make a well in the flour, pour in the yeast mix, cover lightly with a bit of flour and let sit again for 10 minutes, until bubbles form. then begin to knead, adding 3 tablespoons of the olive oil. knead the dough either with a mixer or by hand for 10 minutes. put the dough back into the bowl and cover wit cling foil. let the dough rise in a warm place for 1 hour until doubled in size. 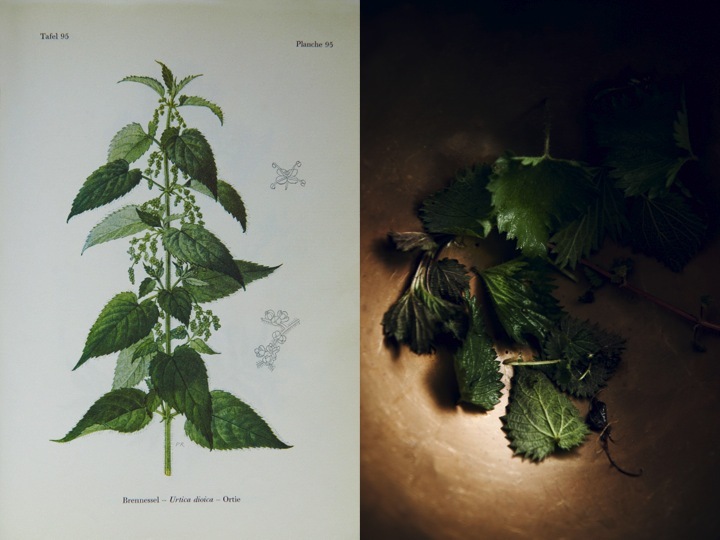 in the meantime, clean the nettle and take off only the leaves (discard the stems). oh, wear gloves to do this, by the way. pat dry with kitchen paper. 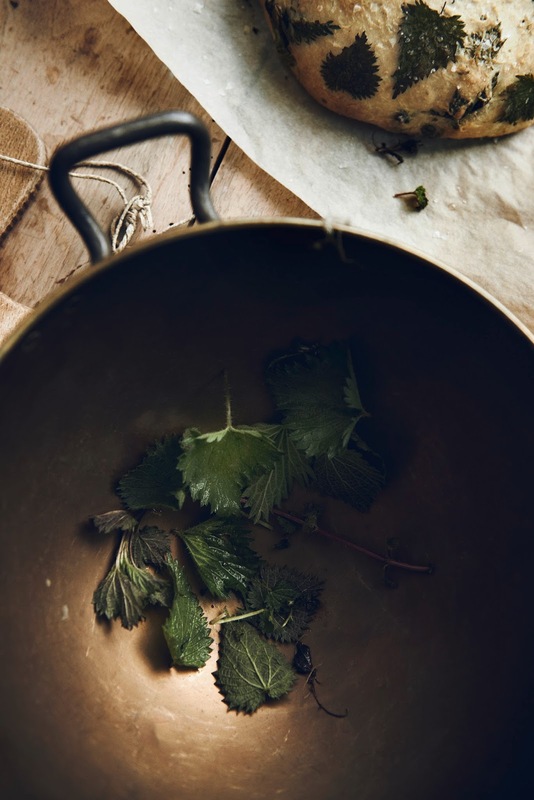 after the dough has risen, knead in the nettle leaves, leaving some to put on top. half the dough into two equal parts and with floured hands shape into balls. 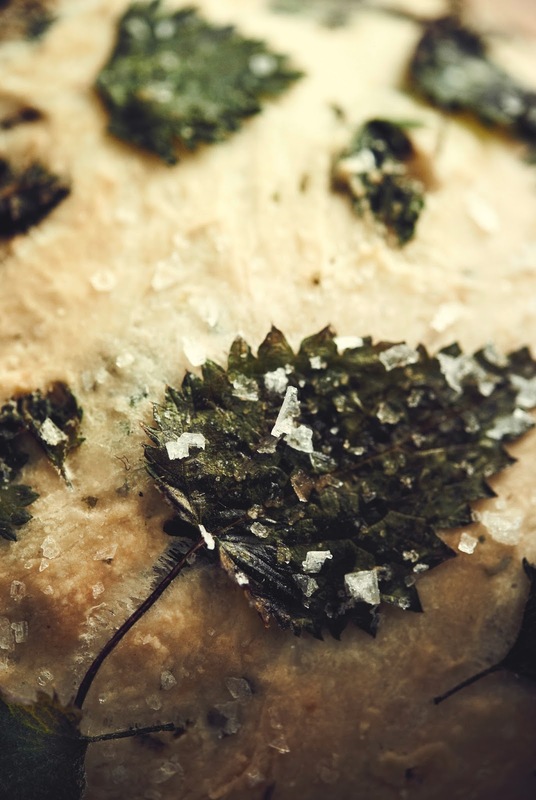 preheat the oven to 220 c / 430 f. put the breads on a baking sheet lined with parchment, garnish with the remaining, brush with the remaining olive oil and sprinkle liberally with maldon sea salt. let the breads rise again for 15 minutes. reduce the oven’s heat to 180 c / 360 f. bake the breads for 20 to 23 minutes. 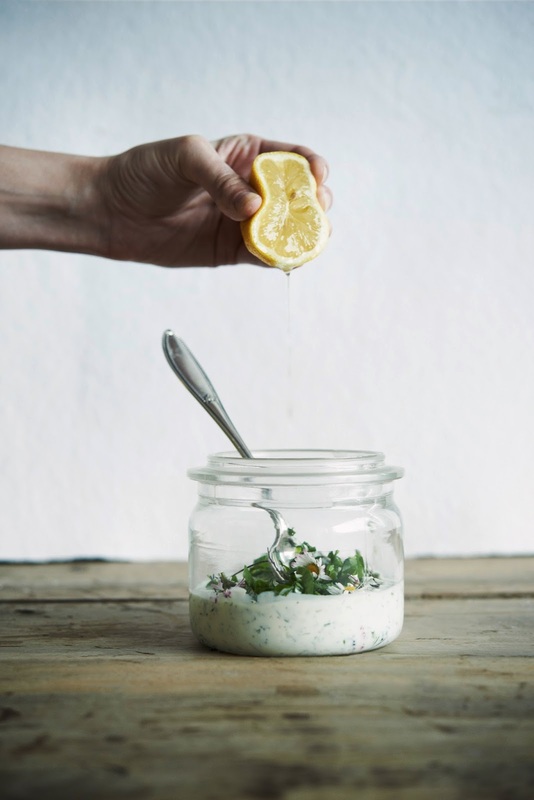 let cool but serve slightly warm – with the wild herb curd (as follows). combine all the ingredients, season with salt and pepper. Hi Scarlett! I can't believe that I haven't stumbled upon your blog before. It's absolutely stunning! 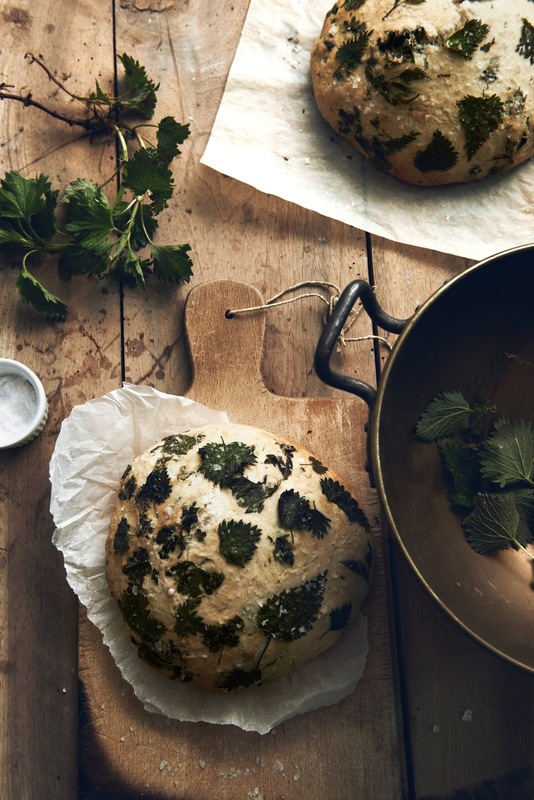 I saw your nettle bread on Pinterest and was like 'whoa!'. I can't wait to make this bread as well as browse through this beautiful place you have created. what a cool name! rather jealous. thank you so much for your lovely and incredibly generous feedback. i never feel like i deserve any of the love i receive, but i'm working on it 😉 thank you for reaching out. and kudos for your german…! you rock! Hah, mein Vater kommt aus Lindau (Bodensee) – Deutsch ist meine zweite Muttersprache 😉 Immer für eine Überraschung gut. 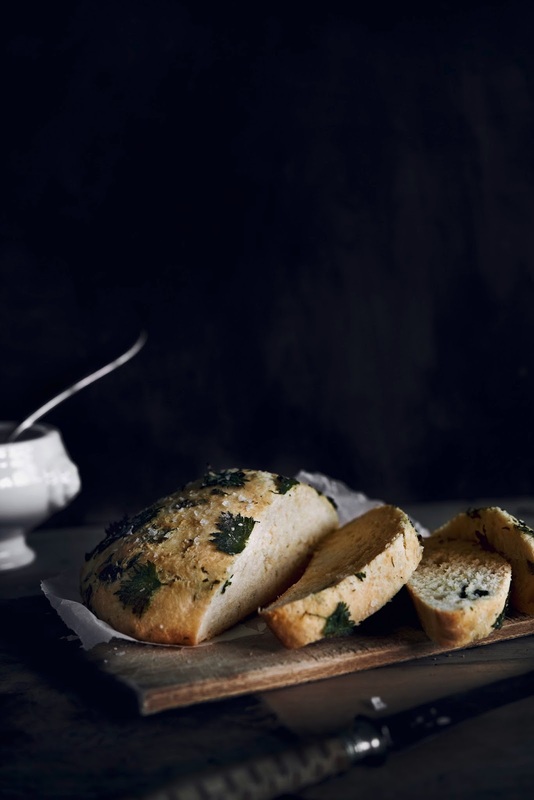 This bread looks very good and I'd love to eat it with your herbed "curd", but please tell me, what exactly is "curd"? Your photos (very nice btw.) look like you're talking about yogurt (joghurt) or quark but I'm not sure. I know you posted this some time ago (got the link from 101 Cookbooks), but maybe you'll see this anyway and reply.